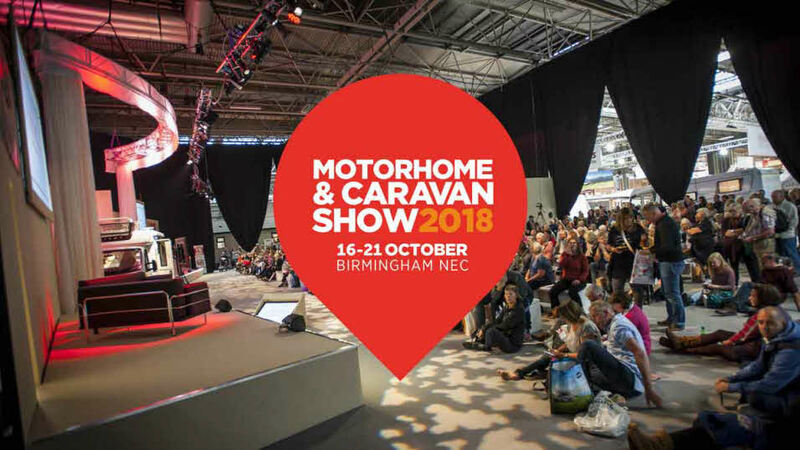 The Motorhome and Caravan Show 2018 is a great place to discover new leisure pursuits and plan your ultimate trip! Make sure to use your Club member discount when you buy your ticket. The UK’s one and only new-season launch event is the only place to see all NEW-FOR-2019 products from major manufacturers, get advice from industry experts and find inspiration for your next adventure. Explore the fantastic destinations and hundreds of campsites throughout the UK and Europe. We share your passion for the great outdoors… to discover how to make the most of your holidays, both in the UK and overseas. Our friendly Club staff will be on hand at our stand (20 - 79) to offer expert advice and tips. Visit our stand on Tuesday 16 October for our special Club Day, where you can meet our celebrity host, TV presenter and journalist Matt Allwright - a keen touring fan and Club member, he will be sharing his passion for the great outdoors and tales from his campervan adventures. Matt will also be hosting a series of informative forums to help you get inspired for your next trip. For those new to touring, our technical experts are on hand to tell you everything you ever wanted to know about touring, plus we have free 20-minute towing taster sessions to try before you buy, build your confidence and get helpful tips directly from our qualified instructors. 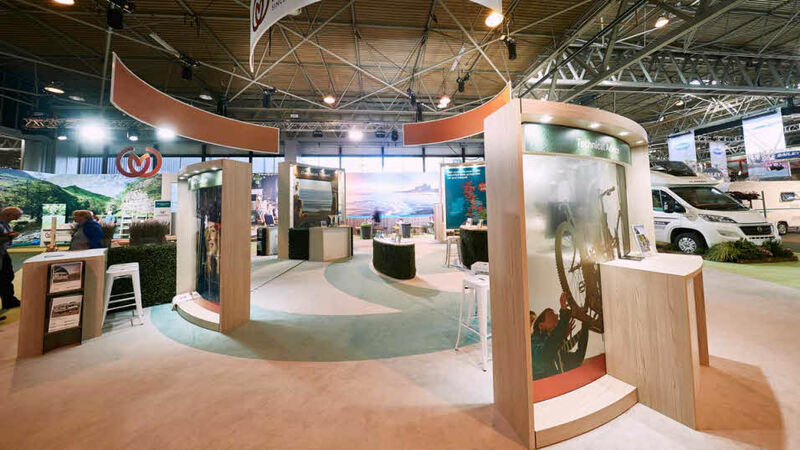 Visit us and book on with us on Club stand 20.79. You'll need to bring your driving licence to have a go. Motorhome and Campervan manoeuvring taster sessions - a perfect opportunity for beginners and experienced drivers who want to learn a few extra skills and become masters of manoeuvring. Come and book your place at our stand 20 - 79. (Don't forget to bring your driver's license). Try before you buy - have a go at towing with our expert Club instructors. (You will need to have driver's license to have a go). Outfit matching checks - TowCheck are offering a free check that matches a car and touring caravan, to keep you informed on what combination is safe and legal use on UK and European roads. Get your senses tingling with live cookery demonstrations from guest chefs. Exclusive offers on 1000s of vehicles and accessories. Discover the great outdoors with the Woodland Trust. Book ahead and benefit from a great online member discount: Seniors pay just £7.75*, Adults £8.75*. Look out for member discount voucher in the October magazine. Use on the door for Club Day only (16 October): Seniors pay just £6.50, Adults £7. Visit The Motorhome & Caravan Show website for details. *£7.75 Senior (over 60s), £8.75 Adult when booking before 23.59hrs 15/10/18 after which time prices revert to the on-the-door price of £12 Senior and £13 Adult. A £1.25 transaction fee applies. Calls cost 7p per minute plus your phone company’s access charge. Car parking is included in the ticket price. No dogs (except assistance dogs). Children 15 years and under go free when accompanied by a paying Adult/Senior. Tickets are non-refundable. Free show guide, campervan test drive and towing & manoeuvring tuition are subject to availability. **Show guides, towing & motorhome manoeuvring courses are subject to availability. We'd love you to come by and say hi! From our stand you can book a manoeuvring taster session, ask for advice or even join the Club.